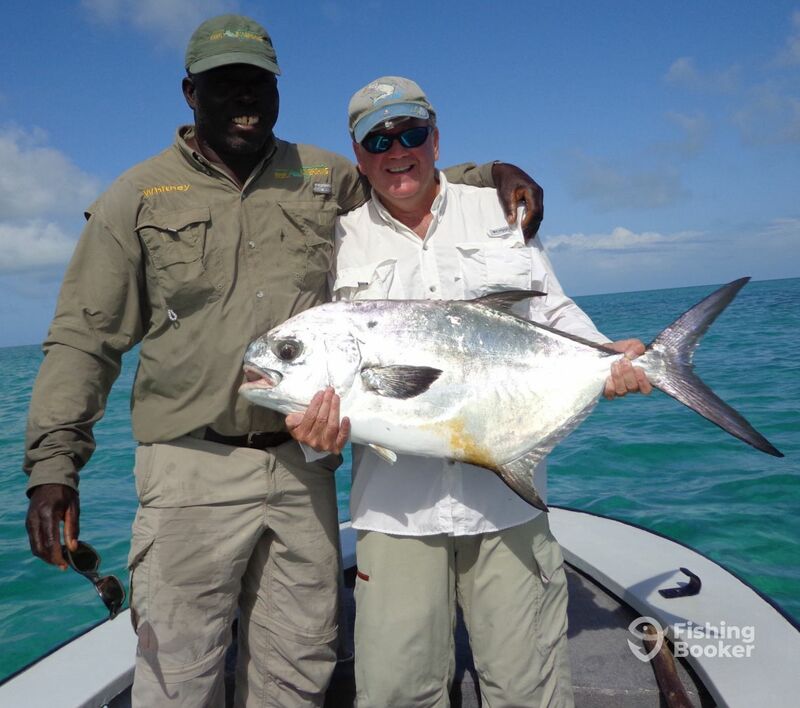 To day was a fun day on the flats here in east Grand Bahama Kevin and I were on the hunt for permit the first flat we stopped on we saw two huge permit we didn’t get a good shot at them the wind was against us. In the morning other than barracudas we did not see much on the flats if we were cuda fishing their were thousands of those on the flats. In the afternoon the permit fishing was not look good we started looking for bonefish we landed one bonefish as we were moving to another flat I saw a ray with two permit on his back as a fisherman that is where you would like to see a permit following a ray. We get in casting range made about ten cast over the Ray and finally one took the fly we played it for about 35 minutes before we got it into the boat nice fish about 32 pounds. I was born in East Grand Bahama in a little settlement called McLean's Town. Most of what we do is fish for a living, so I was fishing as long as I can remember. I became a fishing guide when I was about 18 years old and was guiding ever since. Fishing is not just my job or business, I love to do it, I find joy in fishing.